The new L(O) variant in the updated Ertiga gets a passenger airbag, EBD and ABS apart from the tilt power steering, manual AC and body coloured bumpers available in the L. The V trim has electrically adjustable and foldable ORVMs, Bluetooth-enabled music system, rear AC, 50:50 split second row, keyless entry, reverse parking sensors and a second row power socket. The Z trims get alloy wheels, steering mounted audio controls, rear wiper and a height adjustable driver's seat. The Z+ brings in push button start, SmartPlay infotainment system, touch sensor on the driver and front passenger side door handle and a reverse parking camera. 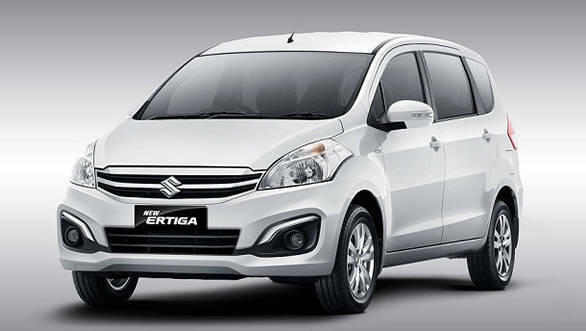 Maruti's updated Ertiga MUV will also come with the SHVS-enabled engine from the Ciaz. This 90PS diesel motor will have start-stop technology incorporated into it and will boast class leading fuel efficiency. The 92PS petrol motor in the meanwhile will be mated to 5-speed manual as well as an optional automatic as well. The automatic though will be available only on the VXi grade. 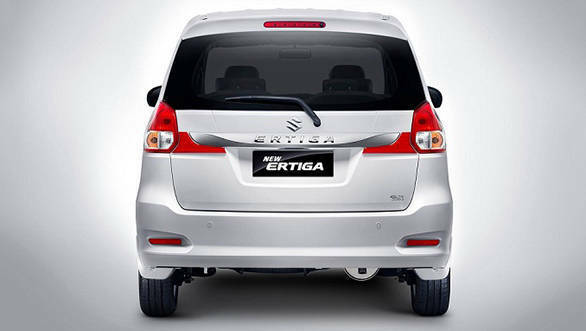 For more stories from OVERDRIVE on the new Maruti Suzuki Ertiga, click here.